AutoSpeed - Where's Car Design Going? One of the traps it’s easy to fall into is to assume that all current automotive technology is wonderful - and that it is more advanced that the technologies that have come before. There are plenty of reasons to take this stance: every new car model is released in such an extravaganza of hyperbole from the car company and the media it’s often hard to see through the hype and look at the reality. Also, the sheer number of models released causes an almost instinctive ratcheting-up of appreciation – it’s difficult to step back and evaluate cars in terms of actual advances. And finally, most people have forgotten – or never experienced - what old cars are like. So what’s good and what’s bad about today’s cars? Current cars are near universally appalling in occupant vision. Hugely thick, heavily inclined A-pillars are far thicker than the distance between a driver’s eyes – meaning that you will always have a blind spot unless you physically move your head laterally. The pictured Peugeot 407 is absolutely terrible in this respect but it is certainly not alone. Car companies will say that thick pillars are needed for roof strength, but that is simply rubbish. Even roll-cages in race cars use tube diameters far smaller than many A-pillars. Another response will be that the pillars need to be big to contain airbags. 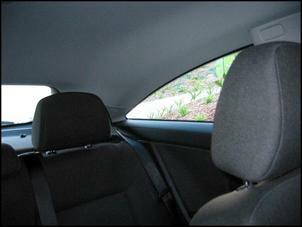 Well, either get rid of these airbags (more likely that you’ll have a crash because you can’t see approaching cars!) or re-engineer them to be slimmer. It’s the fashion to have higher and higher waistlines. Look at the rake angle that the window line makes in many sedans – it heads upwards as you move towards the rear of the car. Great for styling (maybe), but hopeless for rear occupant vision. 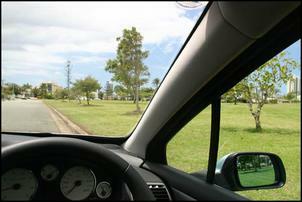 People in the back are being increasingly trapped in a bleak world – they can’t see forward because of the very tall front seats; can’t see sideways because of the high window line. Get into the back of a typical 1960s car and you’ll be just stunned as to how light, airy and simply nice it feels. If you like driving a fast-accelerating car, you’ve never had it so good. Pick up an old magazine – or drive an old car – and you’ll be amazed at how slow old cars are. In 1969 a 5 litre V8 Holden wagon, regarded as a real speed machine, did 0-60 mph (0-96 km/h) in 10.3 seconds. Also in 1969 a Datsun 260C (the equivalent of a current Maxima) did 0-100 km/h in 14.9 seconds. Even cars thought of at the time as fastish – Datsun 1600, BMW 2002 – are today nothing special at all. With very few exceptions, current cars ride miserably. They pitch, they bounce and they have lateral jerks. There’s been an incremental firming-up of suspensions over the last three or four decades, a move that’s accelerated in the last ten years. But it’s not just been a stiffening of springs and dampers which has occurred: car engineers have forgotten the fundamentals of good ride. Things like the relationship between front and rear spring natural frequencies; minimising pitch changes (humans dislike the sensation of pitching more than vertical movement); keeping independent suspensions actually independent by restrained use of anti-roll bars; and selecting a tyre profile that’s in keeping with real world roads. Ah, but you’re saying. Sure, the ride’s gone downhill but what about the handling? Well, what about it? For starters, let’s get off the racetrack and onto the road. Roads haven’t got hugely wider over the last few decades – but cars have. Even if you’re in a current car with electronic stability control, independent multi-link rear suspension and 19 inch wheels with wide and low profile tyres – even with all that, you still have to stay in your lane! And doing that at speed is a much bigger ask when you’re in a wide, long and heavy car. In fact, I’m pretty sure a 1960s Mini Cooper S would have been faster than the Commodore. So when you’re thinking about handling, think about real roads you know, roads where you can’t cut across the equivalent of three lanes the way that magazine writers do when track testing road cars, where you need brakes and precision and room. Of all the criteria, this is the one where current cars score worst. Compared with any cars that have come before, the models now available on the showroom floor are mind-bogglingly heavy. Remember the Datsun 260C mentioned above? With its iron-blocked engine, heavy air-con compressor, and Borg-Warner 3-speed auto, hardly what you’d think of as a light weight car, is it? Well, it had a mass of 1400kg. The current Maxima weighs 1580kg. 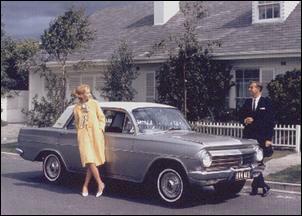 A family Holden of 1963 – the pictured EH model – weighed 1154kg. Yep, 1154kg. The current Commodore weighs about 1800kg – over 50 per cent more. Sure, the VE Commodore is a much bigger car – I call it huge – but the fact remains that the car that was being sold as a family car (and in very large numbers, too) weighed just 1150kg. Even an HQ Holden weighed only 1450kg. And in those intervening years we’ve had weight-saving technology improvements like the widespread use of aluminium, plastic and magnesium; tailor-welded blanks (where metal thickness is optimised before panel stamping); high strength boron steels; CAD design; composite materials – the list goes on and on. Car engineers will argue the weight is needed for structural safety – but race and rally cars (surely, far safer in a crash) are lighter than the road-going models they’re based on. 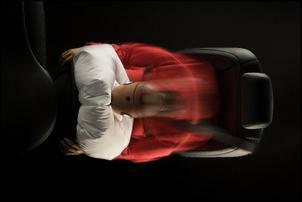 Car engineers will also argue it’s the added features – but airbags weigh little and, guys, you’re the ones who choose to put in the stuff that weighs a lot and adds little to the package (like electric lumbar adjust...). Pick up an old magazine – or drive an old car – and you’ll be amazed at how thirsty old cars were. That 1969 5 litre V8 Holden wagon had fuel consumption on test of 16.5 litres/100km. The Datsun 260C used 20 litres/100km! Even a small car like a Mazda 1200 still drank 7.6 litres/100km. But then again, look at some current cars and you, too, can be amazed at how thirsty they are. The SSV Commodore across that challenging piece of black-top had a read-out of 21 litres/100km! Of course it will do much better than this when being gently driven, but we can’t see how it could ever beat 12 litres/100km in any normal use. The Astra Turbo we recently drove was sitting around 13.5 litres/100km when being confined to city use in hot weather with the air-con running continuously. But without a doubt, many of today’s diesels, petrol-electric hybrids and well engineered small petrol engine cars deliver stunning fuel economy. The Honda Civic gets 7 litres/100km, the Prius 5.5 litres/100km and small economy cars somewhere in between. The large, seven seater diesel Hyundai Santa Fe can easily get 8 litres/100 in normal driving – and far less on a long highway trip. In both primary and secondary safety, current cars are far better than those that have come before. That said, you need only visit a wrecking yard to see that touted panaceas like airbags are of little use if the car collides with an unmoving object at 100 km/h – in some cars, the steering wheel ends up past the B-pillar... But in their ability to avoid accidents and their competency in protecting the occupants, cars of even a decade ago are demonstrably inferior to today’s cars. Cars of 30 or 40 years ago are simply vastly less safe. 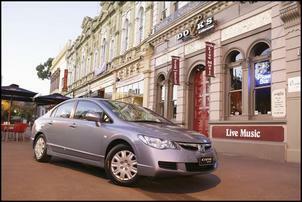 Current cars are far safer, are typically more frugal on fuel and have better performance. (And they also have much less harmful exhaust and evaporative emissions.) Whether they handle better on real roads depends on their size, but on a direct comparison basis (eg same size cars) current cars are clearly better. But they’re also heavier, have poorer vision and ride worse than old cars. I know that this is primarily a performance car publication, but I think that the development focus on performance and handling is weird when the vast majority of car buyers use little of both. (Put a typical new car buyer into a car and take them for a ride on real roads, using all the braking, handling and performance a current car has to offer. You’ll find they want to get out in a bloody hurry!) In fact, think of this: to even attempt to use all the power, handling and brakes of a current car will result in police attention – you would be said to be driving dangerously. So everyone’s paying for it when few people want it and even fewer people use it. 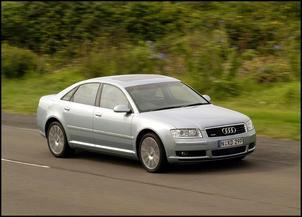 Of course, for the enthusiast drivers who want as much handling, power and brakes as possible – fine. But to build a humble family sedan with an engineering focus to out-handle, out-brake and out-perform the sports car of yesterday seems to me strange. How many typical car buyers list handling or resistance to brake fade as priorities? On the other hand, put a family into the airy, open and spacious car of the 1960s and then into the high waistline, dark and dingy car of today and see which one they prefer! 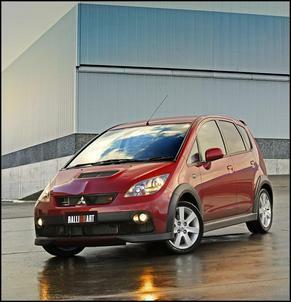 Last year, Australian sales of this type of large new car fell considerably. Now those local manufacturers are seeking increased government funding to help retain their manufacturing plants in this country. 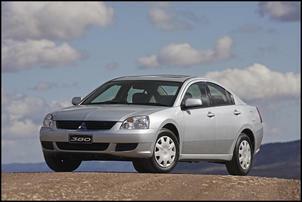 If you examine these cars – the Commodore, Aurion, Falcon and 380 – in isolation, they are brilliant cars. In fact, it’s true to suggest that in terms of sheet metal and kilowatts, they are incredible bargains. But if you examine them with the criteria outlined in this story, they are mediocre.